"I'll take you dead or alive. They're going to kill you anyway - may as well try your luck." Warped by the twisted effects of Strontium 90 fallout, mutants are a victimised underclass on Earth. Denied normal work, many have taken the one job too dirty for norms: bounty-hunting. 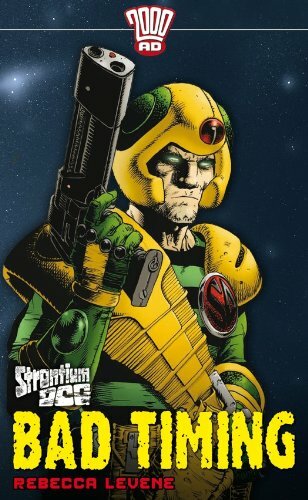 Across the expanding frontier of space, they hunt the criminals too dangerous for the Galactic Crime Commission. Johnny Alpha is one such Strontium Dog and his latest assignment takes him to Epsilon 5 - a quarantined planet where time has sped up to four-hundred times its normal rate. Johnny is in a literal race against time to avoid all manner of dangers and find his prey before he ages to death!Explosive all new stories from the future-shocked worlds of the Galaxy's Greatest Comic - 2000 AD! Also available: Prophet Margin, Ruthless, Day of the Dogs, A Fistful of Strontium.